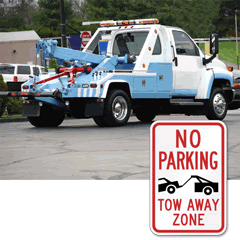 Show that you're willing to Tow. 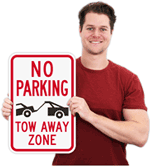 This No Parking sign helps you manage your controlled parking area with a simple, effective sign. 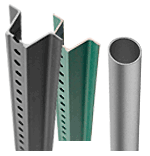 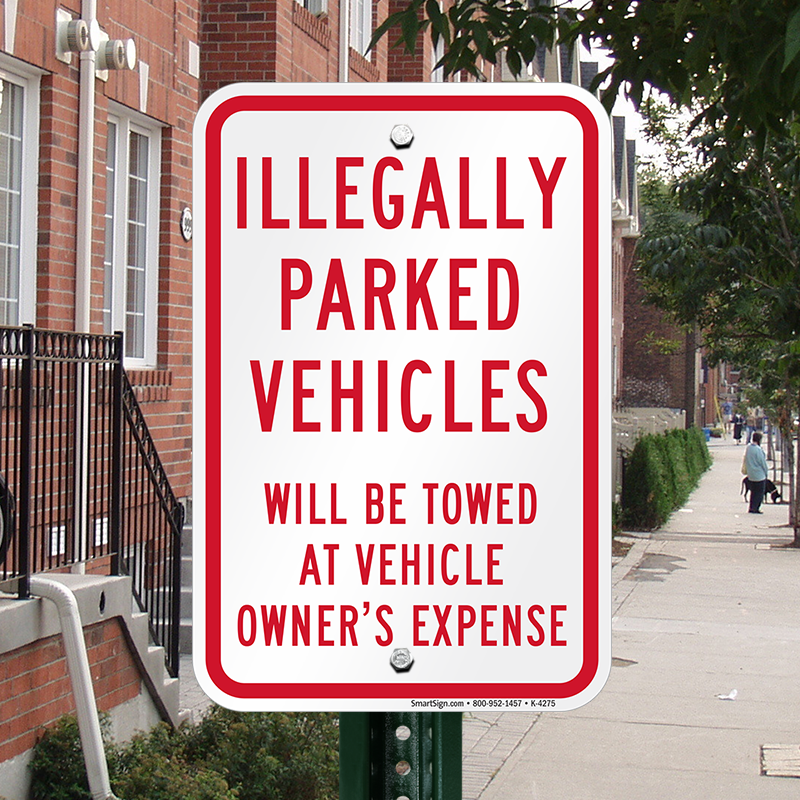 • Tow signs are visible, durable, and your sign will never rust. 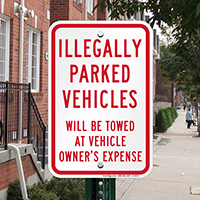 • Each No Parking sign is printed with UV stable ink, that will not wear even in extreme temperatures. 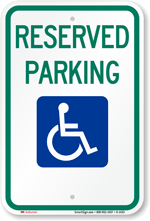 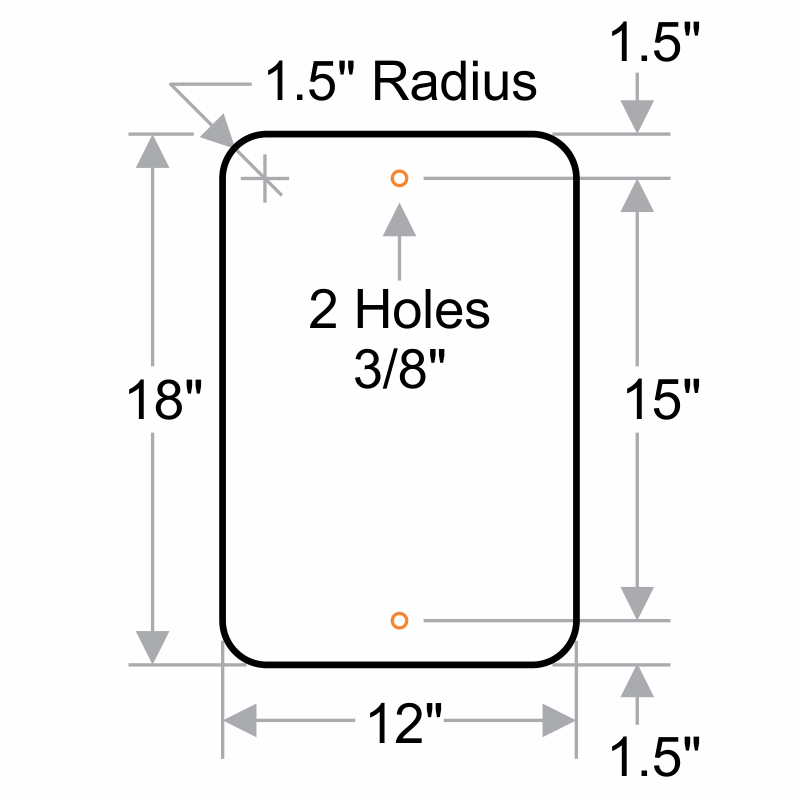 • Easily install this sign onto flat surfaces, posts and fences for a parking sign that will last.